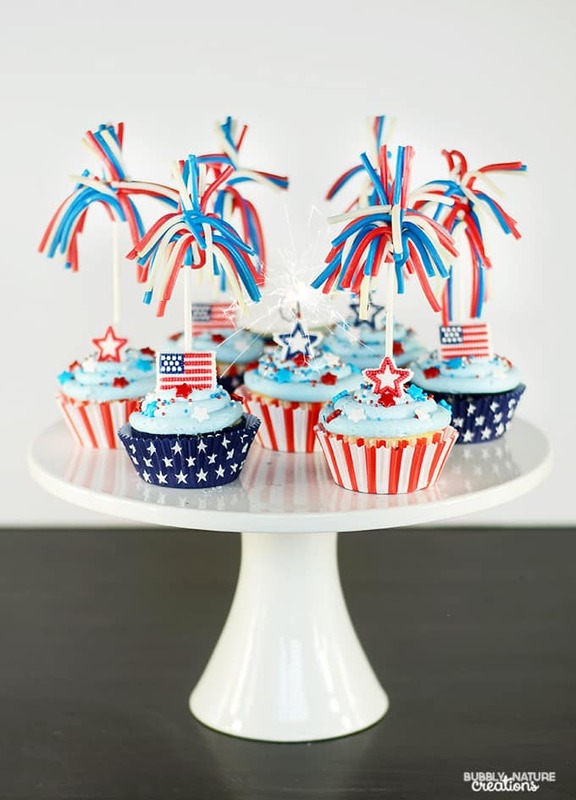 With 3 birthdays in our family throughout the month of June… The 4th of July always sneeks up on me! 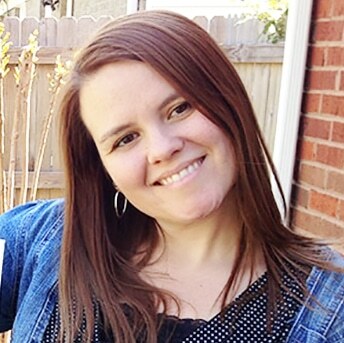 I can’t believe we are just days away from beautiful displays of fireworks and sparkler fun! To celebrate, I came up with these fabulous cupcakes that are filled with “exploding” pop rocks and topped with candy sparklers! They make such a pretty display for a patriotic event! cut a hole in the top of the cupcakes and fill with pop rocks. Put the top back on the cupcakes and ice with light blue icing. Sprinkle with sprinkles and top with Twizzlers candy sparklers (SEE VIDEO). 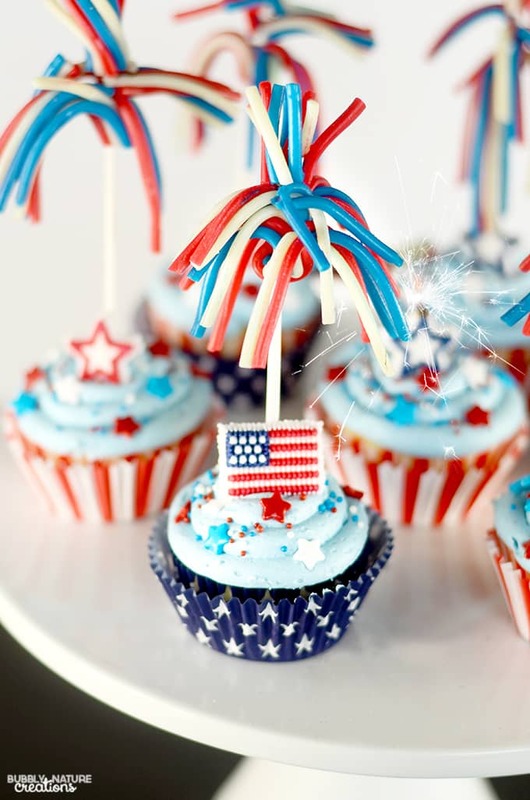 These are the cutest 4th of July Cupcakes!!!! I love how they turned out and they look great alongside some sparkler candles too! What are you making for the 4th of July? 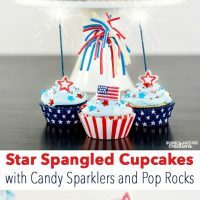 Pop rocks in cupcakes – such a fun idea! Fireworks cupcakes 🙂 Thanks for the inspiration!